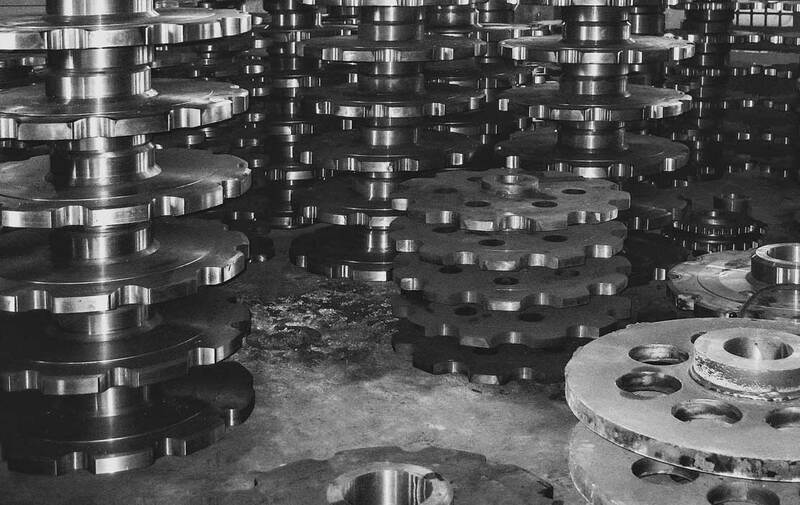 Since the performance of the whole conveyor or drive installation depends largely on sprocket-chain-interaction, choosing the right sprocket is as important as choosing the right chain. It is necessary, first of all, that the design of both chain and sprocket be compatible and for this reason it is recommended that sprockets normally be obtained from the manufacturers of the chain. Sprocket wheels for John King Chains are designed to operate smoothly and quietly with new chains. Wear alters tooth configuration, therefore new sprockets should always be used with new chains and new chains with new sprockets. At John King Chains we can provide sprockets relating to all chains in the master catalogue, we also pride ourselves in being able to provide specials to any customer requirements. John King chains manufacture the majority of sprockets in house, we have capacity to manufacture sprockets to a diameter of 3 metres/10 feet. John King chains provide a full design service combined with years of experience to ensure correct materials and heat treatments are used to ensure maximum chain and sprocket performance whatever the application. As well as sprockets John King Chains also produce traction wheels or toothless sprockets. These are typically used for tail wheels on elevators. Their advantage is their ability to work in the boot when completely immersed in material. This prevents the material from building up on the sprocket teeth and thereby affecting the pitch of the wheel with characteristic jumping or climbing of the teeth. In many cases they are also used as the driving wheel at the head of vertical elevators. Should the chain jam in the trunking or in the boot a traction wheel will continue to skid thus eliminating sheared shafts, bearing failure and damage to the driving gear. We have a large selection of our cast sprocket range in stock, and other cast sprockets available at generally short notice made from our own patterns. As well as cast sprockets we also provide fabricated steel sprockets. Fabricated sprockets allow flame hardening of the tooth form to extend the life of the sprocket. The typical value for this being 550 Brinell by 3 mm deep. All John king sprockets are manufactured to the highest standard and we can provide full certification if requested. John King chains are a registered ISO 9000 company.